At summer camps and participating schools, our PK-2 program engages students with coding activities and challenges before moving on to Scratch in or around 2nd grade. While some students are mature enough to move to Scratch before 2nd grade, we generally like to engage students with the following activities before they start with Scratch to build up logic, patience, and fundamental programming knowledge. Perhaps if we (adults) had these activities when we were younger, we'd all be better thinkers today! Lightbot and Lightbot Jr - The game is basically programming a tiny robot that has to complete different functions, like walking, turning, lighting up boxes, jumping, and teleporting. Lightbot is fantastic for developing a basic understanding of logic and sequence. The Junior levels are appropriate for ages 4 and up. Some of the levels on regular Lightbot are challenging even for adults. In terms of coding apps, I would give this one a 10/10 because they can use it independently, and it is so simple to use and make progress. Like most of the resources listed below, students will eventually hit a threshold that is difficult to overcome without the help of an adult. These apps can be downloaded on Fire Tablets and other tablets. 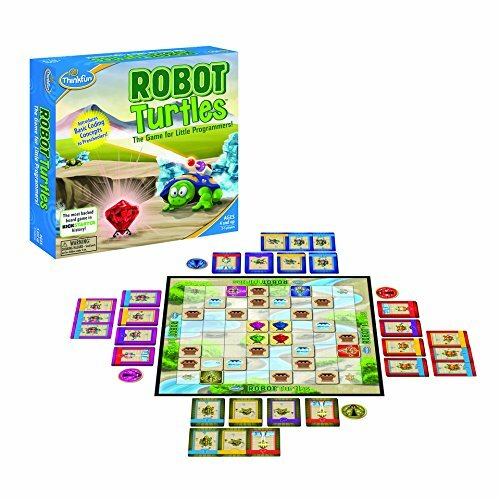 Robot Turtles - This board game teaches kids the importance of sequence and that, put simply, "the computer does whatever you tell it". Students lay down cards in order and the adult moves the robot toward the jewel goal. This game requires an adult to be present (at least at first) and it gets easy a bit too quickly. 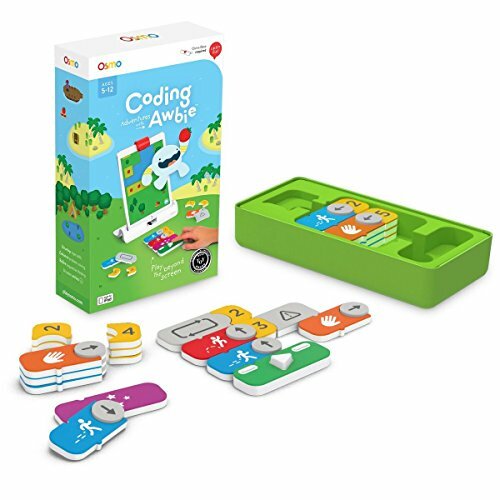 At the same time, in my experience, it's the only coding board game well-suited for 4-7 year olds, and as long as the kids are having fun, extra practice is not a bad thing. ScratchJr - This free app is a great precursor to Scratch, and while it isn't great for creating games, it is really great for animations and learning the basic concepts that drive Scratch and computer programming. Kids could keep working in ScratchJr until 1st or 2nd grade, though they'll probably get bored with it before then. For my full write-up on ScratchJr, check out this link. ScratchJr pretty awesome in its simplicity and design, but it does require quite a bit of adult explanation and presentation of challenges. Osmo Coding - A crowd favorite among our students, Osmo is an iPad app mixed with physical coding blocks. The objective is to use the coding blocks to move a monster through a forest as he tries to find his friends and collect special objects. If a student uses more coding blocks, they will collect extra strawberries, and the collecting strawberries is an objective of the game. I like Osmo because it goes much deeper than a game like Robot Turtles. There are a lot of actions, and because it's an app, there's a lot of functionality and an interesting story. The downside to Osmo is that it is challenging, definitely beyond the level of a pre-k student and beyond the level of many older students too. So it is great if your kid can master it, if they do, you should know they are operating in a pretty high percentile. Note that you'll need the base unit and an iPad for Osmo to work. 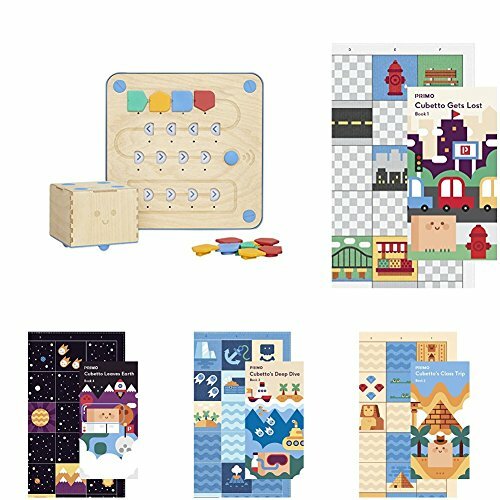 Cubetto - Cubetto is a little robot that comes with story books and moves to the commands you give it using an analog block pad. Cubetto was originally a kickstarter campaign and went back to kickstarter recently to generate more sales. My experience with Cubetto is that students get bored with it very quickly. If you were working one on one with a child, they'd probably enjoy it, but this is seriously a zero sharing toy. The problem is that only one kid at a time can use the coding board, so the others just have to sit and wait patiently. I also have some issues with the Cubetto hardware, namely that it doesn't have an auto-off, so if you accidentally leave it on, the batteries die. In terms of actual learning, it is very similar to robot turtles. Code.org - Kids generally enjoy code.org. Kids can get their own accounts and work through the program, which starts with simply dragging and snapping code blocks together, then moves into sequencing, before jumping into more challenging topics. Overall, I think that code.org gets too hard too fast and at that point requires too much adult supervision. Even though they say the activities are designed for ages 4-7 and pre-readers, I've seen a lot of students have a very hard time with some early levels in code.org. I think they could do better with giving tutorials without words for pre-readers. Also, code.org doesn't have the same "product" development experience that Scratch has, so kids don't really conclude with a finished product. Parents come to me all the time and offer up suggestions of the best coding-based toys they're using with their kids. We have tried many of them and will continue to try out any toys based on your suggestions. What coding resources do you recommend for young learners? Leave your tips in the comments!